The Super Bowl means super deals on TVs, with the best sales since Black Friday at electronics stores. 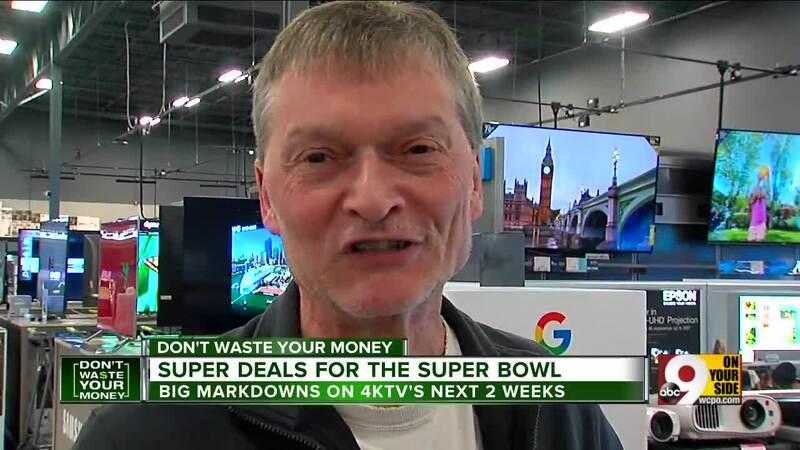 We found David Rogers shopping the TV sale at Best Buy in Florence, Kentucky. The good news is that whether your budget is four grand or $400, you'll find great deals right now, including on top of the line OLED and QLED sets. You know how they say age 40 is the new 30? Richardson says the big three brands --Samsung, Sony, and LG -- all have 75-inch 4KTVs for under $1,500 for the first time. "For someone who wants to be the talk of the neighborhood, we have an 85-inch Sony," he said. It's not cheap, at more than $3,000, but it will give you a temporary edge in the big screen TV arms race.